When you think of an airline pilot, what do you imagine? If you're picturing a man, then you're probably not alone. The majority of commercial pilots are men. In fact, only around 5% of the world's pilots are female. One of these is Captain Kate McWilliams. When she became a commercial captain at the age of 26, she became the youngest female in the world to achieve this, according to her bosses at easyJet. It was when she was 13 that Captain Kate's dream of becoming a pilot really took off. After joining the Air Cadets she got the chance to fly her own plane for the very first time, and then when she was 19 she started training needed to become a pilot. At CAE Burgess Hill, south of London, pilots train in flight simulators that are an exact replica of a cockpit, until they've perfected the skills needed to try flying a real plane. Newsround presenter Alex and three girls who want to be pilots in the future, went there to meet Captain Kate to see if they've got what it takes. WATCH: Can Alex and some young wannabe female pilots make the grade? Why aren't there many female pilots? Captain Kate thinks it's partly because there aren't many female pilot role models for girls to look up to. But she wants to change things, and visits schools around the country to try and inspire young girls to follow in her footsteps. Raymonde de Laroche - First woman to earn a pilot license. Harriet Quimby - First woman to fly across the English Channel. Amelia Earhart - Famous for being the first woman to fly solo across the Atlantic ocean. But she's not the only one aiming for the skies. Meet other women, who've made history by becoming the first female to do their job. Talking of pilots, Ellie Carter hit headlines in January 2019 after she became the youngest pilot of a one-person aircraft in Britain. Newsround first met Ellie when she was given the task of helping to guide the plane down safely at the Royal International Air Tattoo at the Fairford Air Show. She now wants to become a U2 Dragon Lady pilot - part of a secret aerial reconnaissance squad in the US Air Force - be a pilot instructor, or even maybe a stunt pilot. The first ever all-female spacewalk was recently called off by Nasa, after they discovered they didn't have enough spacesuits the right size! 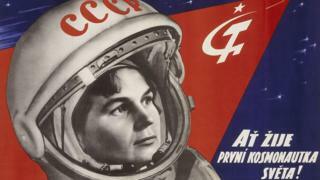 Thankfully Soviet cosmonaut Valentina Tereshkova didn't suffer the same kind of problems when she became the first woman to fly into to space. She launched on the Vostok 6 mission June 16, 1963, spending almost three days in space and orbiting Earth 48 times in her space capsule. 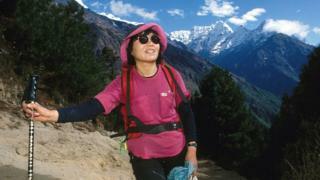 It's a mammoth task but that didn't stop Japanese mountain climber Junko Tabei from making history. She became the first woman to stand on the 29,000 foot summit of the famous mountain in the world on May 16, 1975. She didn't stop after climbing after Everest either, and in 1992 became the first woman to scale the tallest mountains on each of the seven continents, including Mount Kilimanjaro and Denali. The UK Supreme Court is the highest court in the whole of the UK, and has the power to overrule decisions made by any other court in the UK. So unsurprisingly, being the most senior judge to sit on it, is a pretty big deal! This isn't the first time she's led the way for women in the legal world though. 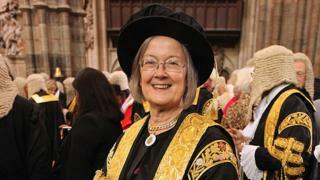 In 2004 she became the UK's first woman Law Lord, and then the first woman Justice of the Supreme Court in 2009. She's also criticised the committee who make decisions about who will and won't be appointed as a judge, for choosing too many white men from similar economic and academic backgrounds. There had long been speculation that the thirteenth Time Lord would be a woman, and in October last year we saw it actually happen on screen. 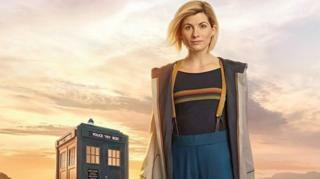 Actress Jodie Whittaker took over from Peter Capaldi, after new head writer and executive producer Chris Chibnall, made the decision to cast the first ever woman in the iconic role. After all you'd expect a face-changing alien and the lottery of regenerations to throw up a woman at least once in a while! In February 2017 she became the new Metropolitan Police commissioner, becoming the first woman to take charge of London's police force in its 188-year history. 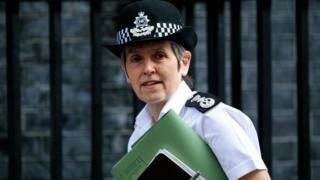 She wasn't the only woman in a top police job either - the head of the National Crime Agency and the president of the National Police Chief's Council were both women, meaning three of the top policing roles in the UK are all held by women. The UK saw it's first female Prime Minister, Margaret Thatcher, come to power in 1979, but it wasn't until quite a few years later that the UK saw other women taking charge of their countries. In November 2014, following the Scottish Independence referendum, Nicola Sturgeon took over as leader of the Scottish National Party (SNP) becoming Scotland's first female First Minister. 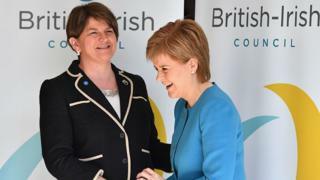 Arlene Foster became the first female First Minister of Northern Ireland in January 2016 until the Northern Ireland Assembly was suspended - she's the leader of the Democratic Unionist Party (DUP). Emma Watson is a feminist. I think this is great because even though women are treated more equal than they used to, they are not treated equally enough. Ok.. That is too Impressive. @U17643139 Okay I agree with you.